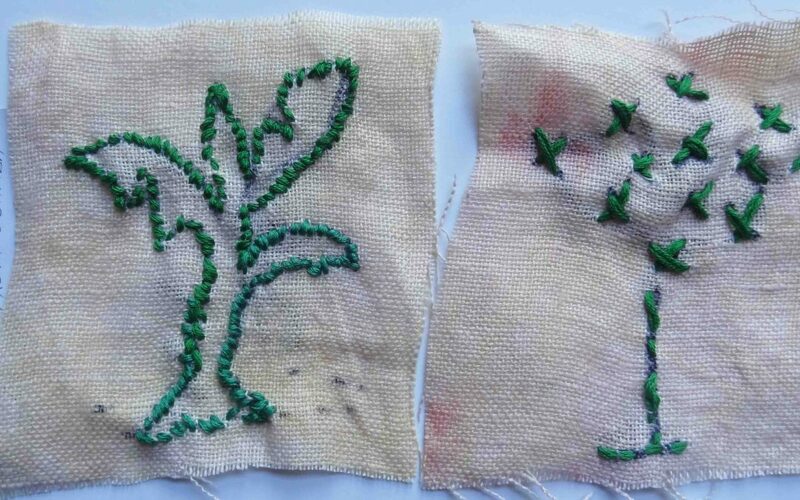 Trees stitched by women and children. They have powerful messages on the tags. They represent trees from Uganda, Eritrea and Zambia.